When clients come in for a consultation, clients are often focused and looking to file a Chapter 7 bankruptcy over a Chapter 13 bankruptcy because that is the bankruptcy chapter that they are most familiar with. Chapter 7 bankruptcies are a short road to bankruptcy relief since from start to finish the case is often about 5 months in duration. However, bankruptcy is very personalized and a chapter 7 bankruptcy is not a one size fits all remedy. A chapter 13 bankruptcy case allows debtors (clients filing bankruptcy) to restructure secured debt and retain possession of their property while resolving their issues with their unsecured debts. One of the many differences in chapter 7 and chapter 13 bankruptcy is the cost. Clients are often concerned about the difference in the cost, but there are several reasons for the cost difference and not all these attorney’s fees need to be paid upfront like in a chapter 7. The bankruptcy lasts longer. The typical chapter 13 bankruptcy will last either 36 to 60 months (five years). 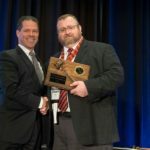 While most of the work for the chapter 13 bankruptcy will be accomplished in the first year of the case, the job of the debtor’s attorney is not done. During the remaining years the debtor’s attorney will be monitoring the case, resolving issues with creditors, and answering questions for the debtor. Clients (debtors) often have questions and request updates during the course of the plan. The debtor has much more control of the bankruptcy process in chapter 13 which requires more explanation to the chapter 13 trustee and more proactive actions on the part of the debtor (debtor’s attorney) than in a chapter 7. Often once a chapter 7 case is filed, the bankruptcy schedules are filed, and documents are sent the chapter 7 trustee, the case is in the hands of the chapter 7 trustee. In a chapter 13 case, the debtor is in charge of keeping the plan/case on track. A chapter 13 bankruptcy plan/case changes with the debtor’s/client’s life. A debtor’s attorney needs to stay involved in the case and take great notes to be able to answer questions and access what life changes will affect the chapter 13 bankruptcy plan. The standard practice is for a bankruptcy attorney to charge a portion upfront and include the remainder of the attorney’s fees in the bankruptcy plan. The debtor will then pay his or her attorney over time in the monthly bankruptcy payment that the client makes to the chapter 13 trustee. A chapter 13 is highly personal and the cases are as different as the clients they help. To find out if a chapter 13 is the solution to your debt problems,call our office to schedule a free consultation. 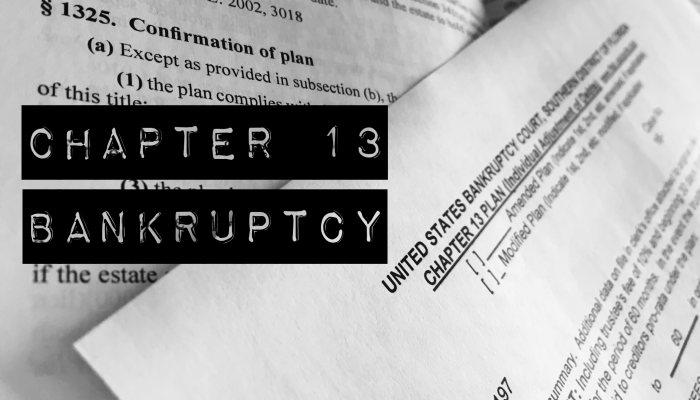 A chapter 13 bankruptcy is a reorganization for an individual person or married couple. A chapter 13 debtor proposes a chapter 13 bankruptcy plan that tells creditors whose debts are being restructured using the bankruptcy code, whose debts will be unaltered by the bankruptcy process, what creditors will be paid and what creditors will receive their collateral back in place of payment. What is Income Verification Language in a Chapter 13 Case? In a Chapter 13 case, the objective is to get court approval of your Chapter 13 plan. Your plan is the statement that you send to all your creditors.